Discussion in 'UK Soaps Forum' started by Angela Channing, Feb 5, 2019. 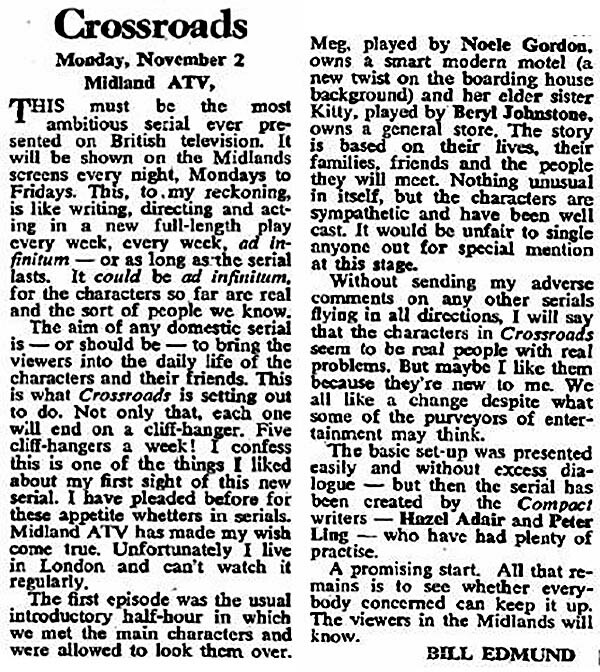 Crossroads was launched on UK television on Monday 2nd November 1964 and 3 days later, The Stage newspaper carried this review of the show. It's generally a positive review and ends by wondering whether "everybody concerned can keep it up." Considering Crossroads ran for another 24 years I think they did.